Home ParentingRaising Boys	Cool Character Shoes by Etnies: Monsters University! If you are looking for some great quality and seriously stylin character shoes for your child or toddler, look no further than Etnies! 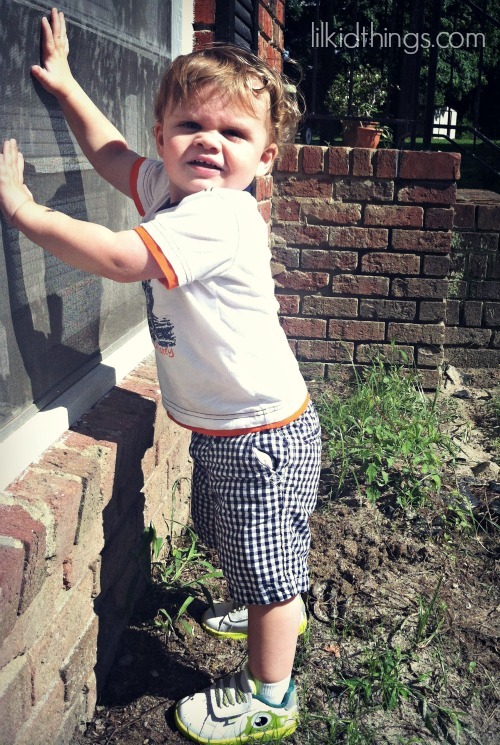 My boys are constantly growing and it’s hard for me to keep them in shoes that fit well. And while I am willing to indulge the fun of character clothing, even I have to draw the line at ugly. I was sent two pair of Etnies Monsters University sneakers to try for Oscar and Calvin and we love them. Calvin’s fit perfectly and he has been wearing them all summer. Because it is attached seperately, I wasn’t sure if the Mike Wazowski character would start to wear or peel off. But so far the shoes are holding up great. In fact, they are still clean even after weeks of wear! For a squirmy almost-two-year-old I love the one strap velcro fastener that allows me to get his shoes on quickly before he slips away. Not to mention the fact that they are adorable! Needless to say, the Monsters University shoes from Etnies are getting a lot of love in our house. Etnies Monsters University styles range in price from $34.99-$49.99. * Many thanks to Etnies for providing these shoes to us for review. All thoughts are my own.